A detailed and comprehensive scientific and engineering analysis of the Deepwater Horizon oil spill has been prepared to better understand the disaster. It also provides additional research data to prepare for an effective response if ever it should happen again. The Deepwater Horizon oil spill in the Gulf of Mexico is the largest oil related disaster in maritime history. It is estimated that 4.9 million barrels (189 million gallons) of oil was accidentally released into the Gulf in the three months that the well blew open. 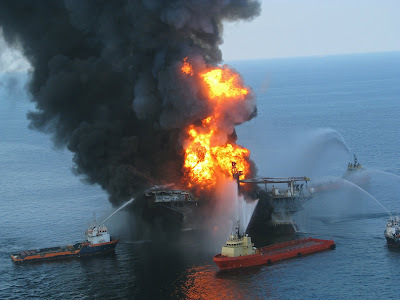 Starting April 20, 2010 when the rig exploded, the well was gushing around 53,000 barrels of oil a day. The leak was capped on July 15, 2010. The fire on Deepwater Horizon burned for 36 hours and the rig sunk on April 22. The explosion killed eleven workers on the platform and injured 17 others. On September 19, 2010, the US Government announced that the well is effectively and officially sealed. The US Department of Justice and BP Oil on November 14, 2012 reached a settlement wherein BP will pay the US Government a record US%4.5 Billion in fines and other payments. The company will also plead guilty to felony counts arising from the death of the eleven workers. Prior to the Deepwater Horizon, the biggest oil spill disaster was by the Mexican rig Ixtoc I in 1979 where it spilled 3.3 million barrels into the Bay of Campeche, also in the Gulf of Mexico. A special collection of articles about the Deepwater Horizon oil spill provides the first comprehensive analysis and synthesis of the science used in the unprecedented response effort by the government, academia, and industry. Papers present a behind-the-scenes look at the extensive scientific and engineering effort—teams, data, information, and advice from within and outside the government—assembled to respond to the disaster. And, with the benefit of hindsight and additional analyses, these papers evaluate the accuracy of the information that was used in real-time to inform the response team and the public. For the most part, information presented publically during the spill was accurate. Oil was rapidly consumed by bacteria, seafood was not contaminated by hydrocarbons or dispersants, and the oil budget was by and large accurate. The only part of the oil budget that was later found to be inaccurate was the fraction of oil that was chemically dispersed versus naturally dispersed. That information had no impact on public safety, seafood safety or the response effort, but understanding the amount of oil that was dispersed chemically vs. naturally is important for future such efforts. One of the most controversial issues concerned the rate at which hydrocarbons were spewing forth from the damaged well. The lengthy time it took for the scientific team to determine the flow rate led to considerable speculation that the government was withholding information. In reality, as described by the papers, the government/academic team charged with determining flow rate took the time they needed to get it right. The accuracy of the flow rates improved with time as more and better in situ data were acquired and more independent methods reported results. Video: The Deepwater Horizon Accident: What Happened and Why? Valuable lessons were learned, with preparation and knowledge being two key elements needed to respond to disasters such as the Deepwater Horizon oil spill, one of the worst environmental emergencies in the history of the U.S. and one that also took the lives of 11 oil rig workers. Two overview papers and 13 specialty papers constitute a special section of the prestigious Proceedings of the National Academy of Science. Of the 15 papers, three are newly published: two introductory papers and one specialty paper provide an inside look at the scientific and engineering aspects of stopping the flow of oil, guaranteeing the integrity of the well once it was shut in, estimating the amount of oil spilled, capturing and recovering oil, tracking and forecasting surface oil, protecting coastal and oceanic wildlife and habitat, managing fisheries and protecting the safety of seafood. The papers describe the process underway to determine the impact of the spill on the natural resources and ecosystems of the Gulf of Mexico, but because those analyses are not completed, no conclusions are presented. The remaining 12 papers have been previously published online. "While the federal family was well versed in oil response and remediation, and we brought many resources to bear, the scale and complexity of Deepwater Horizon taxed our organizations in unprecedented ways," said Jane Lubchenco, Ph.D., under secretary of commerce for oceans and atmosphere and NOAA administrator. "We learned much during this extraordinary disaster and we hope the lessons learned will be implemented before and used during any future events." Conduct research on the impacts of dispersants and dispersants-plus-oil on a wide range of species and life stages. Another paper—"Application of science and engineering to quantify and control the Deepwater Horizon oil spill"—describes the unprecedented collaboration among government, academic, and industry scientists and engineers. Lead author Marcia McNutt, Ph.D., director of the USGS, explains how scientific and engineering information was crucial to guide decision-making for questions never before encountered, especially during the tense hours after the well was capped, but might still be leaking underground. "Although we all hope 'Never again!' will there be an oil spill like the Deepwater Horizon, there will always be some risk as we move into deeper water and more difficult environments in our quest for the planet's remaining fossil fuels," said McNutt. "A significant drawback in addressing many of the issues we confronted in Deepwater Horizon was the lack of peer-reviewed scientific publications from prior marine-well blowouts to help guide our actions; we will not make that mistake again by neglecting to publish for posterity the scientific lessons from this tragedy." The event also showed the value of federal partnerships with academic institutions. The coordination within and across agencies was impressive, but so too was the engagement of academic scientists in a joint effort to respond to the disaster" said Steve Murawski, a co-author on both introductory papers, chief scientist at NOAA Fisheries during the response effort and now a professor at the University of South Florida. "Through these partnerships, new scientific discoveries were made such as estimating flow rate from atmospheric measurements, testing for dispersant in seafood, understanding the behavior of the loop current, and discovering novel microbial communities in the Gulf." A final paper—"Scientific basis for safely shutting in the Macondo well after the April 20, 2010 Deepwater Horizon blowout"—further points to the unprecedented level of coordination among scientists, engineers, and emergency response officials in the public and private sectors. In this paper, scientists describe the geological hazards of shutting in the well and the conditions under which this could safely and successfully be done. "Without this level of cooperation and round-the-clock engagement by people from many disciplines, it would not have been possible to carry out the continual scientific analyses needed to ensure the well was not leaking below the sea floor once the capping stack was closed," explained lead author Steve Hickman, USGS research geologist. "For the government scientists onsite at BP headquarters, rapid acquisition and analysis of critical data sets and open exchange of ideas and possible outcomes was essential to ensuring the well had enough integrity to remain safely shut in until it was killed and sealed with cement."